If you, like me, dear reader have spent the past week or so in a food coma, surrounded by gifts, treats and family then you are surely willing the January detox and declutter to start. However with every single advert pointing us to yet another sale, it’s hard to resist the urge to splurge. After all we have just had the biggest splurge of the year and no doubt the plastic is still smoldering from over use. But lets us take a moment to consider one little aspect that might have been over looked, the ‘me’ item. We all have that one little wish list item which Santa might have forgotten, the one gift that you have kept your fingers crossed for. Alas, the Christmas elves are sometimes to busy to notice the numerous hints and pleas for that one perfect little ‘me’ gift. To show you just how much our Cuckooland minions appreciate your quirky style and outlook, we have the best ‘me’ gift items which you can purchase guilt-free with our huge discounts and super savings applied. If you have ever found yourself dismayed by a warm and limp glass of your favourite chardonnay, this is the perfect ‘me’ gift for you. 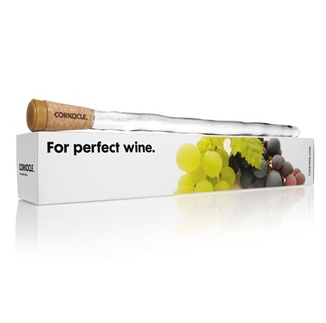 The Corkcicle was created with such genius it should be mandatory to have one in your kitchen draw. Say goodbye to those drippy ice-buckets; simply freeze your corkcicle, slot in the top of your wine bottle and let it chill your wine from within. It is quite simply heaven in a glass! So your Christmas wish was granted with the retro side table, bookcase or coffee table, but why stop there? 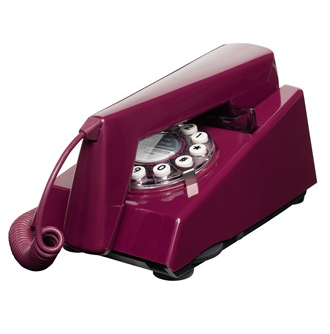 Grab yourself an ultra cool purple retro telephone to really take your home back to a decade of style and substance. Whilst the socks from Aunty Jane were nice, and you sort of appreciated the thermal vest from your other half, you can’t help but wonder why practical garments have to be so boring? Well they don’t with the stylish and sophisticated Ingrid Pure Wool Gloves in Teal. 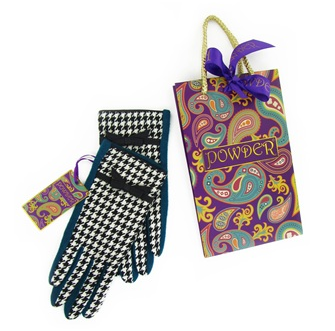 Made from 100% pure wool and featuring a houndstooth pattern complete with ribbon bow detailing, these gloves are a guilt-free way to keep warm in the new year. For those of you who love music and gadgets this will have been at the top of the Christmas list. However if your gift giver is just a little gadget averse you might have wound up with a novelty tie instead. So here’s your chance to get your hands on the coolest music gadget ever created! 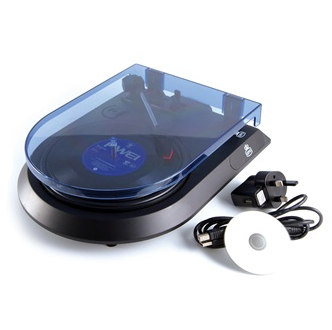 The GPO 115 converts your classic vinyl albums via USB to your computer or laptop and then transfers them to a CD or MP3 player. Genius!!! Unfortunately, on occasion its necessary to purchase a Christmas gift out of necessity rather than desire. So if it’s that time of year when your little one is in desperate need for a new bed but instead got a mountain of toys for Christmas, then this is the guilt free item for you. 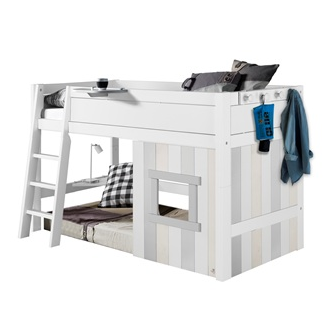 The beautiful and practical Kids Cabin Bed with Slanted Ladder by Lifetime features a wonderful design and is built to last. Mahoosive saving! For all you keen gardeners this is a wonderful little ‘me’ gift. The Orla Kiely Bird House is the first thing you will want to put into your garden before spring catches up with us all. 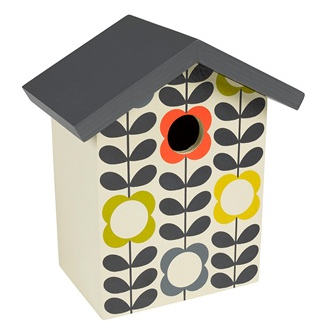 Featuring a fantastic design the Orla Kiely Bird House is a guilt free additional to any garden. If you have been a very good girl this Christmas Santa might have given you a new iPad. However, the jolly man might have forgotten the must have accessory of a designer iPad case to go with your new, fabulous gift! 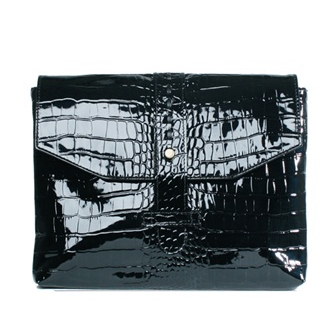 The Reddog Black Crocodile Leather iPad Envelope is a guilt free, fashionable way to keep your iPad safe and secure. If you’re beloved pooch was a little neglected in the gifts department this Christmas, make up for it with the adorable Large Dog Collar and Lead in Kennedy design. 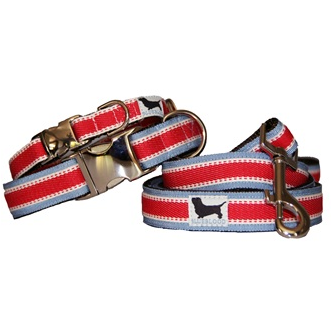 The crisp double ribbon design is classic, elegant, rugged and perfect for pup royalty. Lets be honest, we’ve all done a little too much over indulging but that won’t stop us for having the occasional treat in 2015. 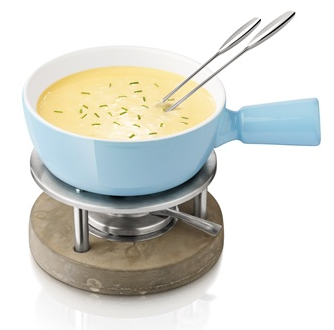 The Cheese Fondue Set is the perfect addition for those who love a bit of a treat along with the occasional dinner party. If Santa failed to bring you anything from your list this year, why not treat yourself to something truly decadent? 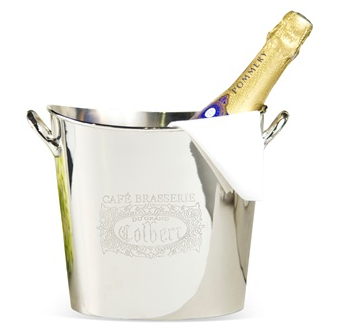 The Cotes De Provence Wine Cooler not only looks like a work of art but this luxurious wine cooler will make the ultimate centre piece at any soiree. « Absolute Essentials for the Greatest Party of the Year!